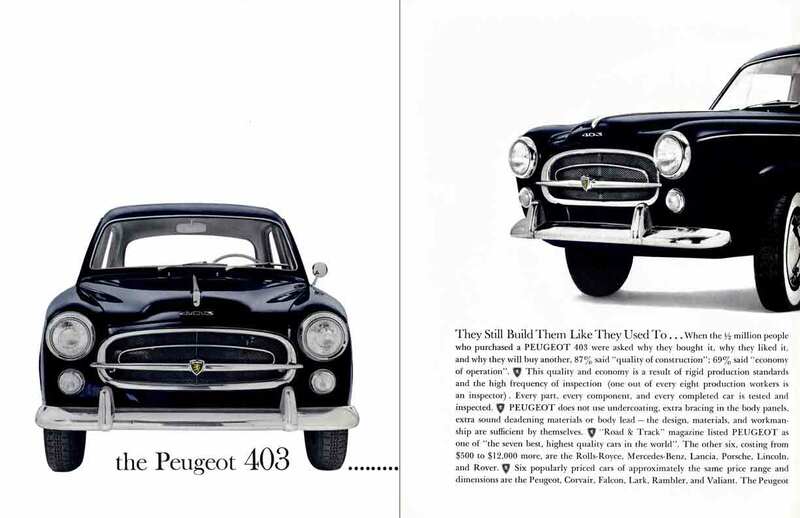 The Peugeot 403 is featured in From A View To A Kill, first when James Bond is sitting in a Paris cafe, and Mary Ann Russell comes to find him. A battered black Peugeot 403 broke out of the centre stream of traffic, cut across the inside line of cars and pulled in to double park at the kerb. There was the usual screaming of brakes, hooting and yelling. Russell says she bought the car cheap, and other drivers give her a wide berth on the roads due to the bashed-about look of the car. After his meeting with Head of Station F, Bond is lent use of the car for the duration of his assignment. It is referred to by model twice more in the story, as Bond leaves from the meeting, and later when after he talks with the dog handlers and goes to follow up a lead. 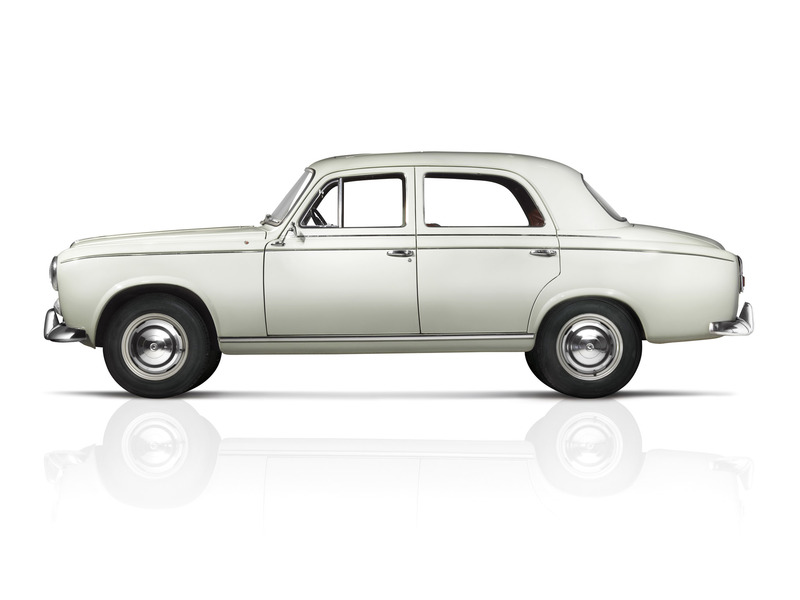 The 403 was manufactured by the French auto maker between 1955-1966. For Your Eyes Only, the collection of stories in which From A View To A Kill appears was published in 1960. We can conclude that it was an early (battered) model 403 that Fleming was describing here. The 403 was also the car of the television detective Columbo. A look at Inside Columbo’s Car can tell you almost all you want to know about the 403.